This lovely flower comes in two colour varieties - one with bright yellow petals, or with dark red petals, as photographed. 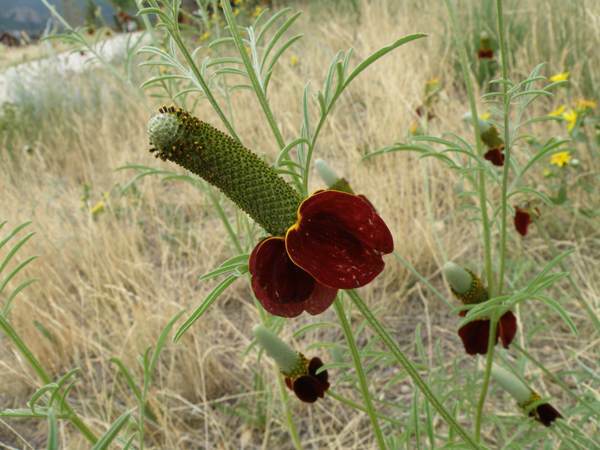 In summer these impressive flowers fill the prairies and open ground in the plains, and extend up into the Rockies. They attract vast numbers of insects in pursuit of a nectar reward for pollination services. The range of this lovely wildflower is throughout the plains and western mountains of North America, and we photographed them in the Rocky Mountain National Park. This robust plant grows to a height of around 80cm and enjoys open sunny positions on dry-to-moist substrates. The Indians used the flowers to make dyes, and the leaves are said to make a tolerable tea - not necessarily to everyone, however! Flowering time is from June onwards.